With estimates that UK unemployment could reach 3.2m by the end of 2010, there has never been a more important time to assess what you would do if you were to be made redundant. There is some good news regarding your mortgage payments if you are made redundant. The government has recently announced that form April 2009 it will launch its Homeowner Mortgage Support Scheme. The scheme is designed to protect homeowners that lose their income and cannot afford to meet their mortgage payments. The government has asked mortgage lenders to sign up to the scheme and agree to give mortgage payment holidays to those who lose their job.It will allow households to defer the interest part of their payments for up to two years. You will be eligible for the scheme if you have savings of less than £16,000 and a mortgage up to £400,000. Another lifeline on offer is the government’s mortgage interest scheme. If you are entitled to claim benefits from the government you may also be entitled to claim help towards your mortgage repayments. Since 5 January 2009, the government has offered more help to homeowners receiving benefits to help pay their mortgage. You are likely to be able to claim payments towards your mortgage if you are claiming income support, income based jobseeker's allowance, income related employment or support allowance and pension credit. Those claiming these benefits could have their mortgage interest payments covered for two years if their mortgage is below £200,000. You will not receive any help to pay off the capital of your mortgage though. These schemes do not mean you have a get out of jail free card, the schemes have their pitfalls and will ultimately add to the mortgage you have to pay back. If you can it’s a good idea to try and keep up with your mortgage payments in the first instance. Even if you think you are going to miss just one payment, contact your lender and tell them you are having problems repaying your mortgage. Your lender will be able to do a lot more for you the earlier you go to them, so don’t put it off. One option they may give you is to pay only the interest on your mortgage. This will significantly reduce your payments and help you to sort out your finances. Lenders do not want to repossess your property because it generally means they will lose money, so they should be willing to help you find a way to still keep up your mortgage repayments. If you have been made redundant and have a redundancy package it is surprising how long you can make it last. Once you have found out you have been made redundant you should immediately make a list of everything that is not essential. Your mortgage and any loan repayments should be your top priority. It is amazing how many people keep paying their sky TV bill but fall behind on their mortgage payments. You will need to cut down on everything that you can live without. Try to remember it will not be forever, just while you are looking for a new job. Lots of people fall into the trap of borrowing more money to pay their mortgage payments. When made redundant people are tempted to pay their mortgages with their credit card or take out a separate loan to cover their payments. This is not advisable unless you definitely know that your situation is likely to change and you will be able to meet your loan payments. You could find yourself in more trouble if you take out extra debt to pay your existing mortgage. if you don’t already have mortgage payment protection you will not be able to apply for it once you have been made redundant. 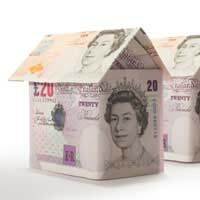 If you are lucky enough to have taken out the protection this should help cover your mortgage payments, or a percentage of them for up to 12 months. It is worth double checking with your lender to see if you took out the product when you got your mortgage, believe it or not, some people can take out the policy without realising, so it is worth double checking. Being made redundant may seem like the end of the world, especially when you are faced with large mortgage repayments. It does not have to be the case though, speak to your lender as soon as possible and you will have a good chance of working out a solution to meeting your mortgage payments. @JJ - it's tricky to advise on this one without knowing the terms of your protection policy. It's probably best to get it from the horse's mouth and give the Halifax a call directly. I am on long term sick but soon be looking for work. CanI have a interest only mortgage while looking for work? I have had my mortgage for 10 months now.I have been at my job for 8 years.Now I will be made redundant in 7 months time.I was in the middle of searching for protection.I have not spoken to my lender yet.Can I still take out protection and be covered when I am made redundant? or is it too late?Much appreciated for any quick response.Thank you.